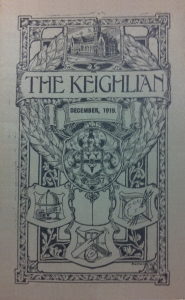 The Keighlian Magazine and it's rich source of information for our research - maybe you have a similar archive near to you and are unaware of its existence? 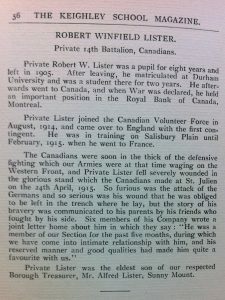 During the war periods 1914 - 1918 and 1935 - 1945, the Keighlian printed old boy's letters from the front and details of those who had gone to serve in the wars. 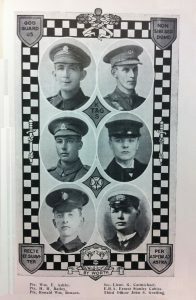 They also printed obituaries and photographs of the men who had died in the war, these are an excellent source of information for our research.